A complete step by step tutorial on Introduction to MPU6050. Hello friends, I hope you are all fine will be doing something special in your life. 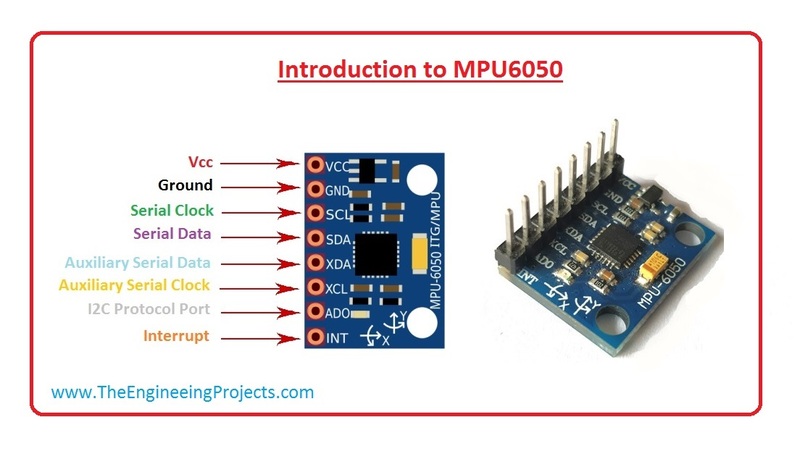 In today’s post, we are gonna have a look at detailed Introduction to MPU6050. MPU6050 is basically a sensor for motion processing devices. It is the world first six dimension motions tracking device. It was designed for low cost and high performances smartphones, tablets and wearable sensor. It is capable of processing nine-axis algorithms, it captures motion in X, Y and Z axis at the same time. MPU6050 is used in different industrial projects and electronic devices to control and detect the 3-D motion of different objects. In today’s post, we will have a look at its working, pinout, protocol, it’s interfacing with Arduino, features, applications, etc. I will also share some links of projects where I have interfaced it with Arduino and some other microcotroller. Friends if you have any question about it, Please ask in comment box I will resolve your queries in simplest way as can possible. So let’s start with basic Introduction to MPU6050. MPU6050 is a Micro Electro-mechanical system (MEMS), it consists of three-axis accelerometer and three-axis gyroscope. It helps us to measure velocity, orientation, acceleration, displacement and other motion like features. MPU6050 consists of Digital Motion Processor (DMP), which has property to solve complex calculations. MPU6050 consists of a 16-bit analog to digital converter hardware. Due to this feature, it captures three-dimension motion at the same time. This module has some famous features which are easily accessible, due to its easy availability it can be used with a famous microcontroller like Arduino. Friend if you are looking for a sensor to control a motion of your Drone, Self Balancing Robot, RC Cars and something like this, then MPU6050 will be a good choice for you. This module uses the I2C module for interfacing with Arduino. MPU6050 is less expensive, Its main feature is that it can easily combine with accelerometer and gyro. Now, Lets discus PINOUT of MPU6050. 01 Vcc This pin used for Supply Voltage. Its input voltage is +3 to +5V. 04 SDA This pin is used for transferring of data through I2C communication. 05 Auxiliary Serial Data (XDA) It can be used for other interfaced other I2C module with MPU6050. 06 Auxiliary Serial Clock (XCL) It can also be used for other interfaced other I2C module with MPU6050. 07 AD0 If more than one MPU6050 is used a single MCU, then this pin can be used to vary the address. 08 interrupt (int) This pin is used to indicate that data is available for MCU to read. Now, let’s discuss the features of MPU6050. These are some features of MPU6050. The communication protocol at which it operates is I2C. It is built in 16 BIT ADC, which provide high accuracy. Its operating voltage is 3 to 5 volts. It consists of a digital motion processor, which provide high computational power. It is inbuilt in the temperate sensor. It can be used to interfaces with IIC devices like magnetometer. The pitch of its pins is 0.1 inch. Its Acceleration Range is +/-2g, +/-4g, +/-8g, +/-16g. Its Dimensions (excluding pins) are, 21.2mm (0.84″) length x 16.4mm (0.65″) width x 3.3mm (0.13″) height. It has the smallest and thinnest QFN package for portable devices, 4x4x0.9 mm. Its operating current is 3.9 mA when its six motion sensing axes and DMP are in motion. It also has gyroscope feature like its Gyroscope operating current is 3.6 mA. Its gyroscopic stand by current is 5µA. It also has low improved frequency noise performance. It works at Gyroscope range, ± 250 500 1000 2000 °/ s.
Now let’s discuss the I2C protocol on which it operates. As we earlier discus that MPU6050 works on I2C protocol, now discuss this protocol. MPU6050 was first introduced by the Philips semiconductors in 1982. For sending and receiving data between two or more devices we need a path which called BUS. I2C is a bidirectional two-wire bus which use to send data between integrated circuits. I2C consist of three data transfer speed which is, standard, fast-mode, and high-speed mode. I2C sports 7 bit and 10-bit address devices. I2C is the best choice where simplicity and low manufacturing cost are more important than speed. 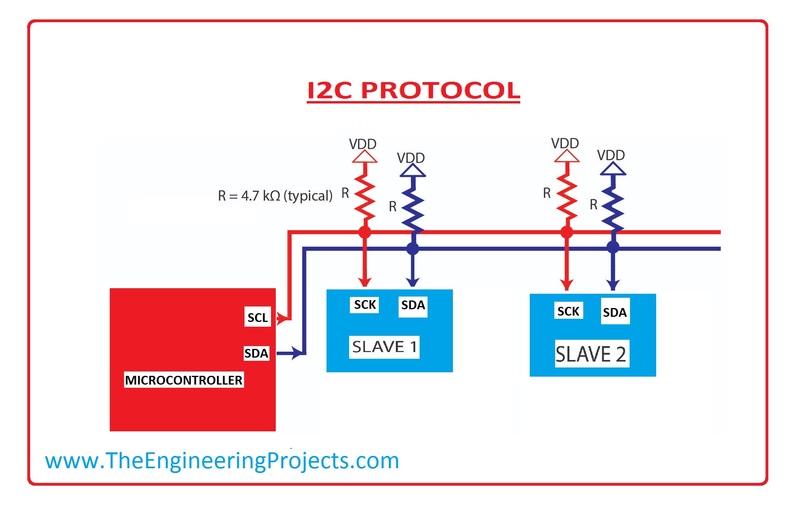 For a better understanding of how I2C protocol works, let’s see is a picture. 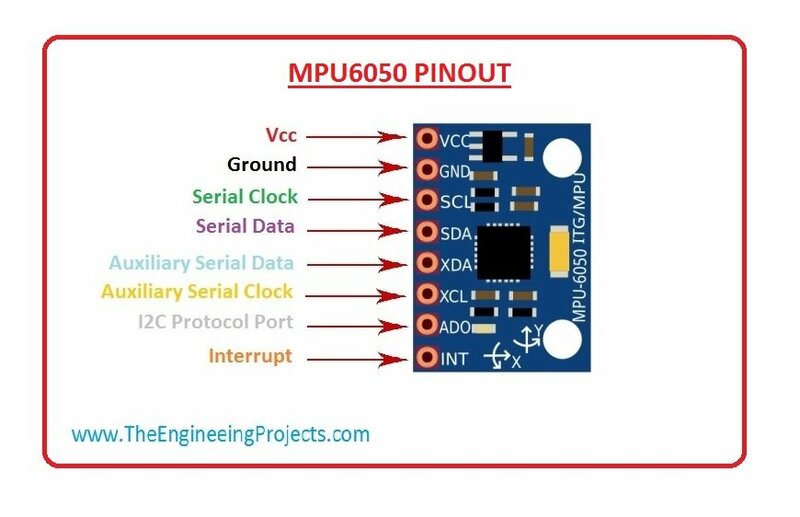 Now let’s have a look at MPU6050 Arduino interfacing. 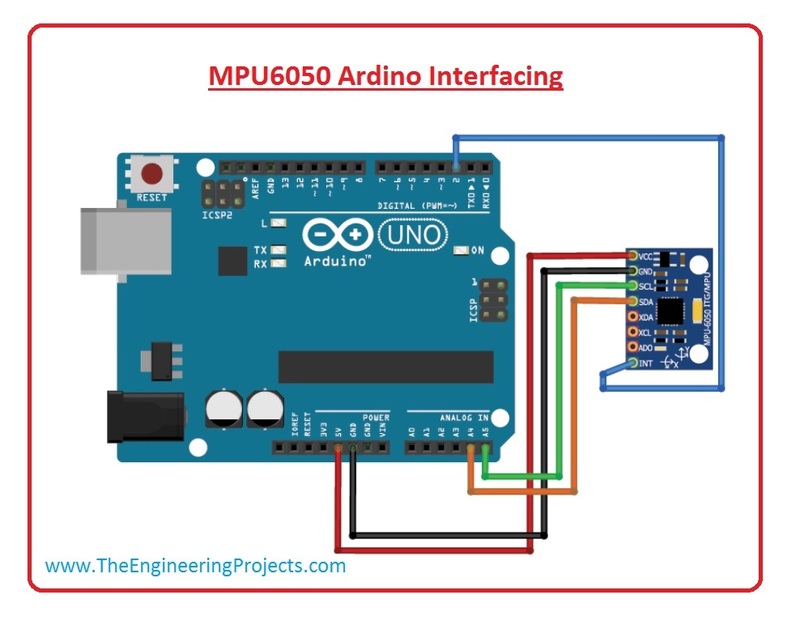 In the given diagram we have shown its interfacing with Arduino, the value which we can by using this module are given below The following data values can be obtained using this example. Quaternion Components (w, x, y, z), Euler angles, Yaw, Pitch, Real world Acceleration, Roll, World frame acceleration and Teapot invent sense Values. It is used for IMU measurement. It can be used in Drones / Quadcopters as direction controller. It used in Self-balancing robots. It can use as Robotic arm controls. It used in Tilt sensor. It can be used orientation or Rotation Detector. Friend, that was about MPU6050, If you something else kindly asks in a comment box. I will further guide you in the next tutorial. Till then take care…..